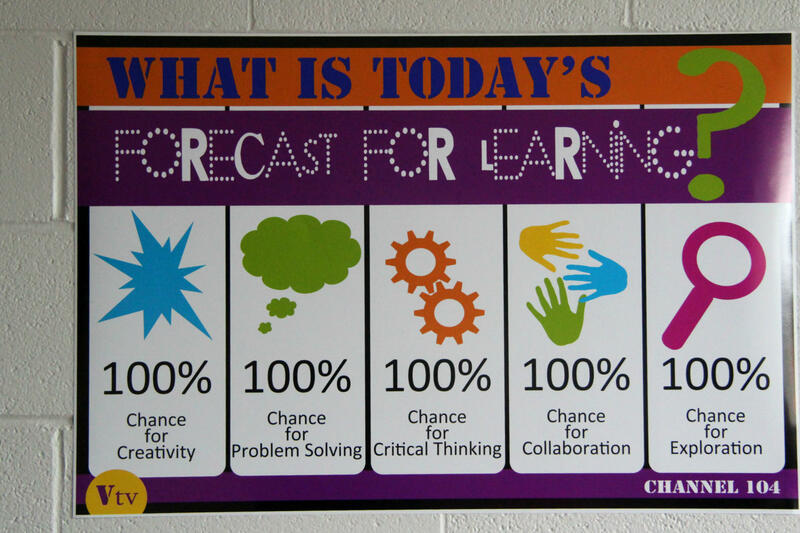 For kids who bring trauma to school, their "learning forecast" is far less than 100%. Experiencing trauma early on in life interferes with childhood brain development, causes health problems in adulthood, and is linked to depression, alcohol and drug abuse, and self-destructive behaviors in teens. Trauma even has the power to change structures in the brain that are responsible for executive functioning and are essential for learning. No wonder traumatized kids have a hard time concentrating in school. Students with a high ACES score are more likely to have lower grade-point averages, reduced graduation rates, and more absences than their peers. Trauma usually masks itself in other ways, though; it’s commonly mistaken for ADHD and often manifests as behavioral problems, such as being disruptive in class. The problem with that is most schools typically assign detention before bothering to screen the student for trauma. Students are supported holistically – physically, emotionally, and socially – not just academically. All school staff, from the janitor to the principal, are trained through professional development in how trauma impacts kids. A trauma-sensitive school works to engage traumatized students and have a connected student body. Although we've heard that more and more schools are recognizing the impact of trauma on academic achievement, Ben Atchison from Western Michigan University's Trauma Assessment Center said he couldn't think of a school in Michigan that has completely embraced this approach. He explained that it's been difficult to find sustainable support for trauma-sensitive strategies, especially when they involve changing the entire culture of a classroom. In one California school, however, the approach seems to be working. At Cesar Chavez Academy, a middle school in the heart of an impoverished community, staff routinely lead students through yoga exercises and mindfulness breathing exercises to prepare their minds and bodies to learn. A Cesar Chavez teacher says he has seen tremendous growth in his students since the school has become more sensitive to the trauma they regularly experience, many because of the poverty around them. There’s no easy way to measure the number of traumatized kids in Michigan. But we do know that the correlation between trauma and poverty is strong. In 2013, approximately 524,000 of Michigan’s children lived in poverty. That’s 24%, meaning just about one in four kids lived below the poverty line, and presumably one in four kids minimum has experienced trauma. To give these kids a fighting chance, researchers agree that interventions such as trauma-sensitive schools are needed sooner rather than later. If you've heard of a school that's taking steps to help alleviate the stress trauma places on learning, let us know.